At its core, blockchain is a network architecture that uses a decentralized model for connecting users over the traditional centralized one. Blockchains are complicated and there are now hundreds or thousands of them, each with its own unique benefits and drawbacks. Aptly named Ark widens the perspective and does not focus on building the best blockchain, but on building bridges between all these disparate blockchains, thereby making the ecosystem better. 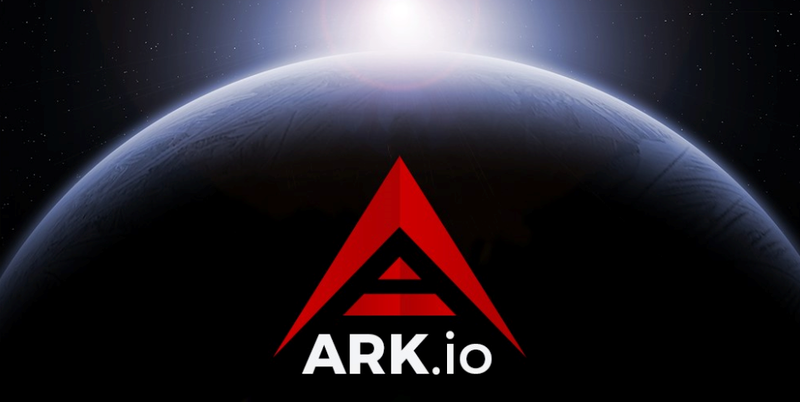 Ark employs an innovative variety of technology in pursuit of this ambitious goal, and it has gained a fair amount of success, having managed to establish connectivity with major blockchains Bitcoin and Ethereum. Though Ark was an earlier ICO in late 2016, the applicability of this technology is even more relevant in today’s blockchain environment, where interoperability and community cohesion are needed to fend off skepticism. 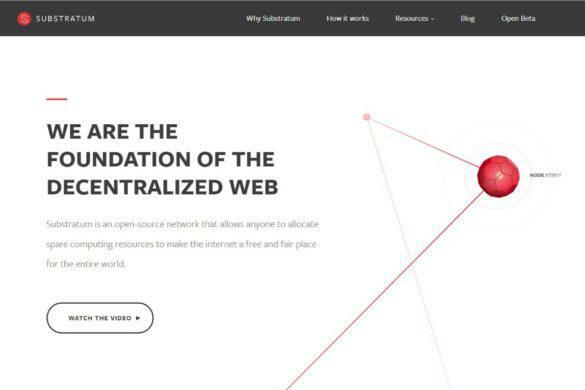 Ark has a grand mission to connect all blockchains through a proprietary system called ‘smartbridges’. The company believes that blockchains are meant to be joined together, not separate from one another, and that connecting them increases the efficiency and success of any single blockchain but also the applications built on them. 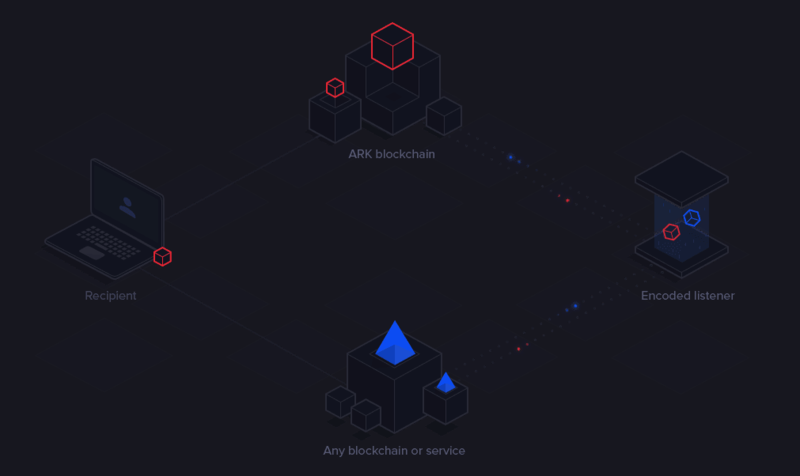 Ark itself is a blockchain run on a Delegated Proof of Stake consensus mechanism, but it exists to connect others to it, and therefore to be the so-called root chain. This addresses a hugely important issue for blockchain, because the technology is dependent on the number and reliability of peers, of which there are a limited amount. How is any single distributed computing network like Golem, SONM, or Tatau for example, supposed to provide efficient services when between them they’ve divided the available pool of peers between them? Connecting them helps to solve this problem, and Ark has developed a way to do this regardless of architectural or programmatic differences. The Ark team consists of a tight-knit group of experts in their respective fields. 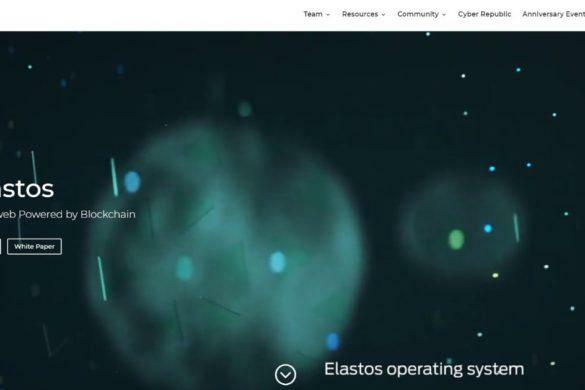 Co-Founder and CFO Lars Rensing is a veteran of the cryptocurrency and blockchain spaces. Another Co-Founder (there are 27 in total) Mike Doty is also Managing Director, and has extensive experience in the crypto industry with past projects including Bitseed and Lisk predecessor Crypti. With many other Co-Founders and important roles being taken up by knowledgeable and invested individuals, Ark is being perfected from the inside out. The Ark team consists of a tight-knit group of experts in their respective fields. 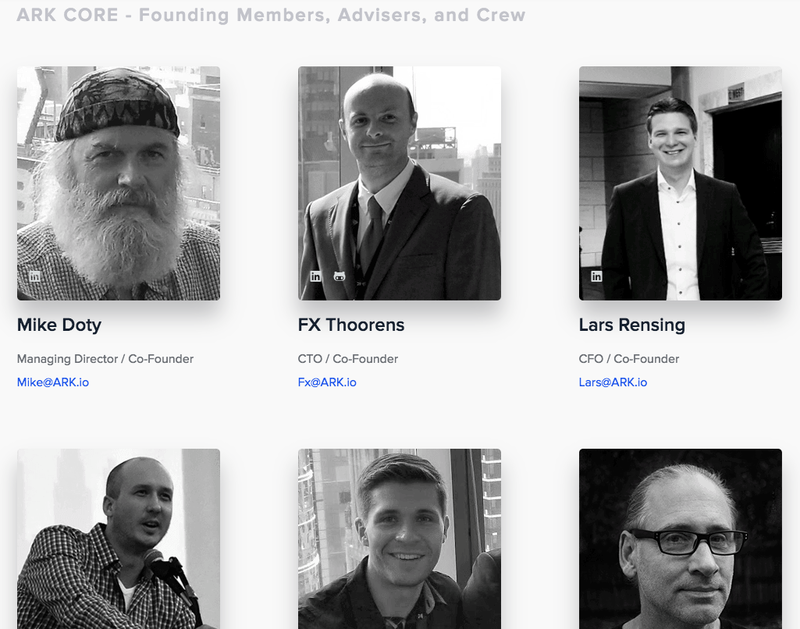 Co-Founder and CEO Lars Rensing is a veteran of the cryptocurrency and blockchain spaces. Another Co-Founder (there are 11 in total) Mike Doty is also Managing Director and responsible for driving excellence in Ark’s computer science department. With many other Co-Founders and important roles being taken up by knowledgeable and invested individuals, Ark is being perfected from the inside out. As a platform with a motto to connect blockchains and decentralized ideas, Ark cannot exist without partnerships with other projects. The company announced a partnership in 2017 with hardware wallet maker Ledger to enable token holders to use their wallets for authentication in voting. 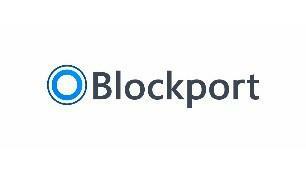 In February 2018, the company announced a partnership with decentralized exchange Blockport. The exchange will use Ark’s technology to provide users access to multiple wallets based on different chains, and allow for better cross-chain communication and value transfer. In July, Ark announced a partnership with blockchain-based HR marketplace Hiway. Ark will use Hiway’s platform as a way to fill its expanding employment needs and find new staff. 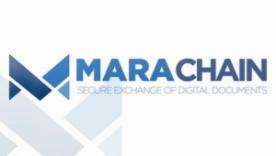 The company also announced partnerships with MARAChain in (an encrypted document transmission service) and O Crypto Union (borrow fiat money by staking tokens, now including ARK) in August. 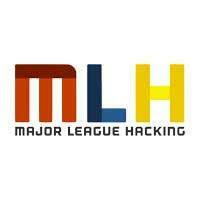 In September 2018, Ark announced a partnership with Major League Hacking to create an open source workshop related to understanding Ark and blockchain building. Ark hopes that the partnership will help expand its reach and broaden its ecosystem. The Ark initial coin offering was on the earlier side, launched in November 2016 a year before most of the market’s current projects began the crowdfunding process. As such, it is considered a relative veteran in the market, and was launched at a time when ICOs were still a new concept. It asked $0.10 for each ARK coin in exchange for ETH and successfully raised $22 million during the event. The price of a single ARK fluctuated for months in 2016 before finding stability at around $0.20 in the first half of 2017, before gaining the same momentum that boosted the entire market. DPoS Blockchain – Delegated proof of stake is an incentivization methodology that rewards peers for owning and staking their own ARK coins, much like Proof of Stake but organized by a set number of delegate nodes (51 in this case) instead of the entire network. Delegate nodes provide increased authority and speed to the verification system. Smartbridges – The Smartbridge system employs ‘encoded listeners’, which are bits of code that can be easily embedded in other chains, allowing them to communicate with the ARK blockchain via a series of shorthand signals. It is a clever and very low-input model for boosting interoperability. 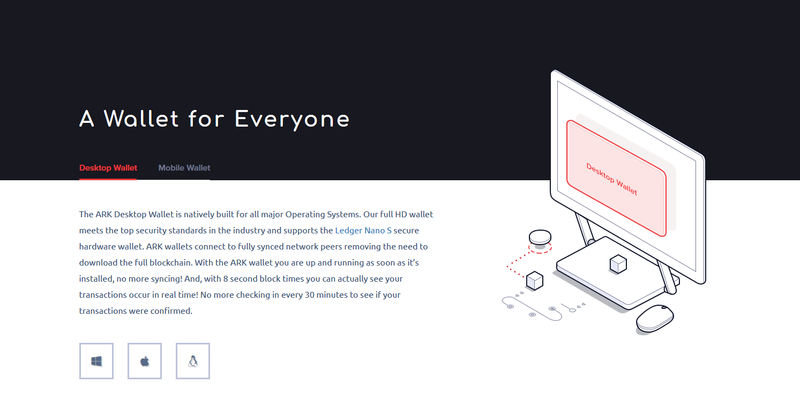 All-in-One Blockchain Solution – As a solution for connecting blockchains, it makes sense that Ark offers a turnkey blockchain creating platform using its own technology. Businesses, entrepreneurs and even enthusiasts are free to make their own blockchains with whatever purposes they desire and enjoy native connectivity with other chains in the Ark network. This is a great low-overhead way to enter the space. ARK is an older token with significant market exposure, and it can be found on most exchanges. 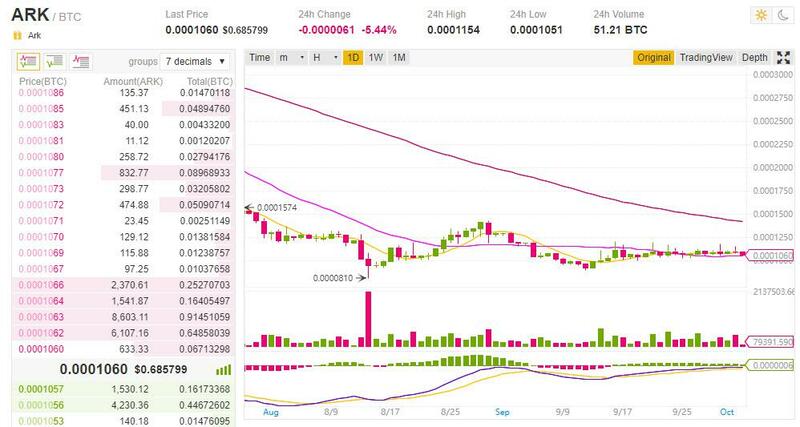 The popular exchanges like Binance and Bittrex have the highest trading volume for ARK, naturally, at around 50.08% and 21.18% respectively. ARK’s total 24-hour volume is $416,538 at the time of writing. If you would like to buy ARK, you can also find it on OKEx, Upbit, COSS and many other exchanges. It is available against several counter currencies including Bitcoin, Ethereum, and Tether. There are a few exchanges that offer investors the ability to trade their fiat for ARK directly, namely Upbit, Litebit, and Cryptomate (KRW, EUR, and GBP). To buy ARK with most exchanges, you will have to transfer cryptocurrency into your wallet on the exchange, make the trade and then transfer ARK to wherever you will store it. With ARK, one can stake and help verify transactions on the blockchain or use it to power their own Ark-based business. One of the recent and more impressive accomplishments of the Ark team was to get ARK integrated with the Ledger Nano hardware wallet. This allows people to safely store their ARK, but also to stake their coins with a delegate node and earn passive income without putting their coins at risk by using a lesser wallet. Though online wallets can also be very safe—and ARK is supported by many of them—hardware wallets will always win the security battle. Remember that keeping ARK on an exchange is always less safe than a wallet you control the private key to. In terms of the most popular wallets for ARK holders, the official ARK wallet tops all alternatives. It has built-in options for switching delegates and voting on which nodes to “elect”, as well as a smooth desktop interface. The latest iteration of the ARK wallet also scans incoming and outgoing addresses before completing a transaction, to ensure that both are ARK addresses and not some other coin. This is an unfortunate mistake for anyone who’s ever experienced it, so this function is much appreciated. 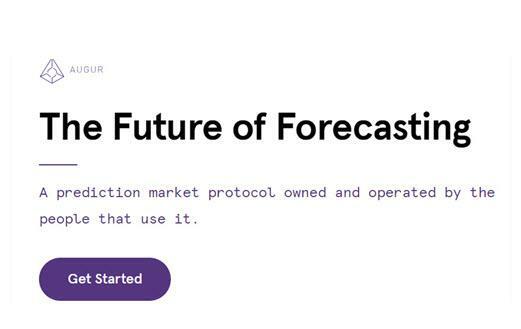 Future goals for Ark include the launch of their virtual machine, which will help incorporate smart contracts into the Ark ecosystem, though the team has stated that they are not looking to compete with Ethereum in this regard. For a network that seeks to connect different blockchain solutions, this is a key utility and will help create business flows that can trigger multiple chains with a single action. Many expect Ark to release the VM with Ark Core 2.0, which is slated for late 2018. With Ark Core 2.0 comes a plethora of upgrades like a dynamic fee schedule, support for a greater variety of wallets (including multi-signature wallets), and faster transactions. Ark has a strong position moving into 2019 and has captured a permanent membership on blockchain’s cutting edge.